Holywood Conservation Group can this week report success in relation to 16-18 Victoria Road, Holywood. When faced with a Judicial Review hearing the NI Planning Service agreed to the Court quashing the Planning Permission for 9 new dwellings at 16-18 Victoria Road, Holywood. 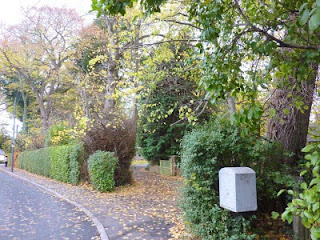 This dramatic turnaround was in direct response to legal action initiated by the Holywood Conservation Group. The development was also strongly opposed by local residents, North Down Borough Council, local MLA’s, and Lady Sylvia Hermon MP. A spokesperson for Holywood Conservation Group said “This outcome should be welcomed by all. This is good news for all Conservation Areas but we are not complacent as there is more work to be done. Our concern is about the Planning Service failing to closely follow their own published policy and procedures. Conservation Areas are a special case in which there is a presumption against intensification of a site. Nevertheless Holywood Conservation Group has a good relationship with the Planning Service and we wish to continue to work constructively with them to ensure that good decisions are made in the future. We are keen to avoid the need to venture into legal action – a costly exercise for both ourselves and the Planners. We also respect and acknowledge that the Planning Service has a very difficult task in trying to balance conflicting interests in a wide variety of circumstances”. Holywood Conservation Group was set up in 2002 and has around 200 members. Its primary aim is to conserve quality buildings and trees in and around Holywood so that everyone can enjoy a better environment in which to live and work. In 2004 it was successful in lobbying for a Conservation Area and won a Judicial Review against the Planning Appeals Commission concerning development within the Conservation Area. Additionally, it played a major role in saving Holywood Old School, has organised the funding and planting of 66 trees in the town centre, and continues to influence the design of quality signage in the High Street – Boots and Tesco’s being the most recent examples. The spokesperson concluded “As a voluntary organisation we are wholly dependent upon our loyal supporters. We try to make a difference without stifling reasonable development or business". As Alliance Councillor for the area I am very satisfied with the outcome achieved by Holywood Conservation Group. The Group has relentlessly campaigned since it’s foundation to ensure sensible planning and has again delivered real success protecting Holywood’s Built Heritage for future generations. The decision sets an important precedent which will hopefully ensure our Conservation Area is protected and planning policies adhered to. Whilst it’s important for Holywood to grow and develop this must be done sensitively in the context of our general surroundings.